Last week Radio Today brought you Part One of our chat with the one and only Tony Martin, as he reflected on his groundbreaking show Martin Molloy two decades on after it ended. 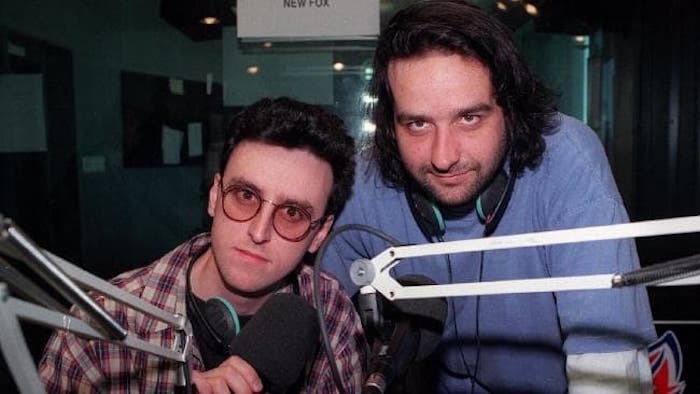 Below is Part Two of that chat, during which Tony reveals more about the creative process between himself and Mick Molloy, the sheer effort that went into their audio sketches and why they decided to only do a two-hour show. He tells us whether he’d ever consider doing Breakfast radio again full-time. Were you guys sharing the writing for Martin Molloy? How was the creative process happening between you and Mick? It was precisely 50/50 because it was so much work. Two-thirds of the show, except when we were talking to callers or talking to guests, was mostly written. A lot of our conversations that sounded spontaneous were actually scripted. People were always shocked when they came in to see the show. I remember every couple of months someone would come in wanting to film it. There were too many questions we couldn’t answer. What do you do when you go to a sketch? Is that animated? We didn’t know. It just was never gonna be a good T.V. show. What sort of hours were you putting in for the show on a daily basis? Martin Molloy was so much writing. We would start writing at 10 in the morning, and we would still be working at midnight that night, so it was a really long work day for only a two-hour show because we tried to get as many sketches and pre-recorded things. There was a lot of chopping up interviews from TV and changing the questions. There was no internet, so we had to read all the papers. We had so many newspapers delivered to our shed where we did it on the roof. We’d get overseas gossip magazines mailed to us. There was no just Googling anything or looking up finding a clip on YouTube. You had to sit there with a VHS recorder and tape the news that night and then go through it and find lines from John Howard that you could misuse. It would seem like an incredibly primitive process for people doing radio shows now to see us doing it. I think because Mick’s seen as a bit of a knockabout and I’m seen as a bit of a nerd, occasionally people will go, “Oh, Tony Martin was the one doing all the work.” That was not true at all. I would do what we called the Glamour sketch one night, and Mick would do it the next night, so it was a precisely 50/50 workload. Although I hated dealing with management, so Mick would always go and have the arguments with management. I in return would spend an extra hour going through sound effects. That was how we divided it up. Obviously the production and sketches were a big part of it. Why is it that we don’t see as much of that sort of radio anymore? Well, it’s very, very time intensive. When we stopped doing Martin Molloy it was so huge I thought, “Well, everyone’s gonna be doing this now.” They didn’t really. The Chaser did it then, and are still doing brilliant sketches. They’re still the only ones that are actually doing sketch comedy on radio. It is very time-consuming. On ‘Get This’ the sketches were even more elaborate. We would commandeer a production studio for six hours a day. Matt and I would often spend three days on a sketch that went one minute fifty. You play it once or twice and it’s gone. It’s not seen as a very time effective. They’re a lot of work for very little airtime. The Chaser has a large team, and they’re very good at them. They’ve had years of experience so, but for people just starting to try and jump into that world, it’s a lot of work. Who were the people that helped make Martin Molloy a success? For the first year we had Scott Muller, who’s now a programme director at WSFM and with Jonesy and Amanda. He was actually the engineer of all the sketches for the first year. For the second, third and fourth year, from ’96 to ’98, we had Vicki Marr. She’s absolutely brilliant. She’s as good as it gets in this country. Scott was great as well, but by year two we were wanting to be much more ambitious and elaborate with our sketches. Vicki was the key to making that work. We had Peter Grace, of course, who was the producer of the show. The first man to speak on FM radio, on commercial FM radio I should say, on EON FM, back in 1980. He was a really good person to panel the show because he was a radio stalwart, but he was also a stand-up comedian, and he was part of Espy Comedy down at the Esplanade Hotel, which is where me and Mick started doing stand up. We also were assisted by Emma Moss in the first two years. Then Sancia Robinson. In year three and four and they worked in the office and booked all the guests. Then Sancia actually became a character on the show. Martin Molloy listeners would remember her. You’ve been quoted as saying, “Two hours is a show. Three hours is a shift.” What do you mean by that exactly? That was sort of what we were trying to do, so people who’d been a fan of us on the TV… we didn’t want the comedy to be not as good because we were doing more of it. I kept meeting people… normal people living in the real world… who would tell me that they had a one hour twenty drive home to Dandenong or something, stuck in traffic on the south-eastern. Those were the people we were always imagining when we were doing the show, the person stuck in horrible traffic on the way home, who’s got four speakers in their car. We’d do a lot of stereo. Pete Smith would rollerskate around all the speakers to make it sound like an amazing stereo thing in your car. Always just trying to think of bizarre production stuff to do for people stuck in traffic. Triple j’s Ben and Liam recently, quoted you speaking about the importance of not being lazy being a key to keeping it fresh. What other advice would you have for new young radio talent today? I’m always going on about theatre of the mind. If you listen to this podcast I do, Sizzletown, it’s not just two people talking. We’re using every audio trick you can use. I would just say to people, if they wanna do the kind of show we were doing, you really have to get interested in editing. You have to be interested in music, and acting. That’s only if you’re doing that kind of show. These are not things you need to do to do a radio show. If you wanna do production heavy, you’ve gotta be interested in doing a movie that’s only audio in your head. Is it true you’re offered millions of dollars to keep the show going? We were because it was extremely successful. I think it was on 60 stations at the end. Every year had to top the year before. You really couldn’t get lazy. You know when things go on too long and people get romantic about the early days when it was good? There’s a lot of radio shows like that. We just couldn’t do it. We foolishly put out this press release saying that we were cooked, and everyone in radio who was doing a three or four-hour show just laughed. We were only doing two hours a day, but of course it wasn’t two hours a day at all. It was about 18 hours a day. Only two of them were broadcast. I do remember we were offered an insane amount of money to do one more year of the D Generation Breakfast Show. We went off to do the Late Show, which I think in the end we did for free. We were making our own little short films and sketches and filming them and having them edited and sound post-produced. I think we worked out that we actually lost money to do that. I recall us being offered two million dollars to do one more year of the D Generation Breakfast Show. By the way, that’s two million dollars between eight people, I should point out. That was an enormous amount of money at the time. I think something similar happened at the end of Martin Molloy because I went off and was writing scripts for Lano & Woodley. I was writing for free. 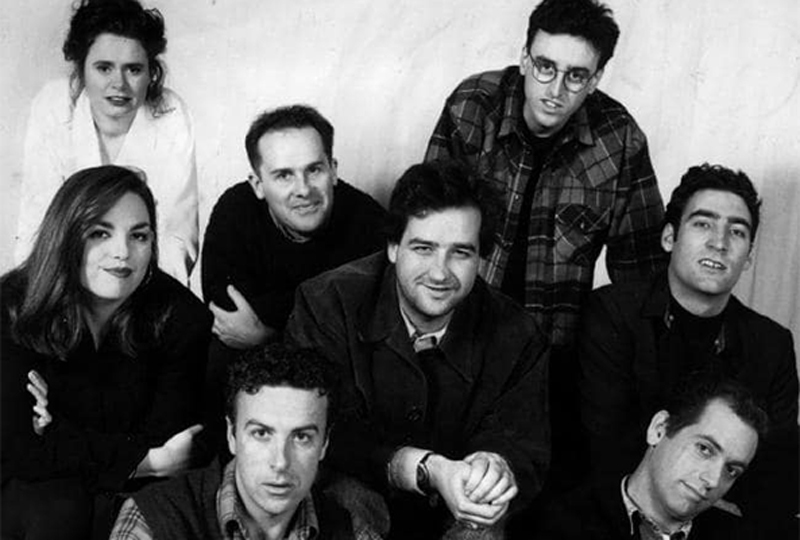 Mick eventually did the Mick Molloy show, of course, but if we had done a fifth year of Martin Molloy, it would have been not as good. We just know it wouldn’t have been up to scratch. Do you think you’d ever consider returning to a full-time gig, whether that’s on breakfast or drive? Maybe, but the great thing about doing Nova is I can still do all my other things… because it’s only one day a week. I can still do stand up comedy and my podcast, and do a little bit of TV directing occasionally. Stand up and write books and things that I seldom do. Yeah, because when we did Martin Molloy, and also when I did Get This, I had to drop everything else I was doing. When we did Martin Molloy I don’t think I did a single stand up gig for four years because it was so all-encompassing. So at some point I might go back to radio, but at the moment I love this. I’ve done three years of Chrissie, Sam and Browny and I’ve loved doing that. That’s such a fun show to be part of. I just get to go in and do my stuff. I don’t have to go to any meetings. That’s what I like. The other thing is, I’m doing Sizzletown at the moment, and it’s quite an involved show, even though it’s only a half an hour every two weeks. We put three to four full-time days into it, me and Matt. It’s a really production heavy and elaborate show. It’s completely uncensored. I’ve kind of been spoiled by that because even though I don’t get paid to do it, it’s so liberating to just have it be whatever I want it to be. I’m quite addicted to that at the moment. Catch up on Part One of our chat with Tony Martin here. Tony doing Breakfast radio again full-time now that’s big news. From D Gen to Martin Molloy to Get This and now on Nova I’ve always been his biggest fan. Did you ask Tony if he would ever bring back Martin Molloy ? I hear he would never work at SCA ever again after Get This was axed. Dumb decision. I remember working at Fox in the peak of Martin/Molloy, often in the opposing studio doing dubs of Rick Dees Top 40 into DCS, and watching the magic between everyone, then seeing Pete Smith walk past in the corridor, and being wrangled into a group in a production booth for Vicki to mimic people being trapped in a cave !!! I think Tony (and the D-Gen/Late Show) have always had the right idea – get out on top, don’t go past the use-by date, even though I think secretly I’d love to hear a Martin/Molloy reunion (which I know won’t happen). I like Sizzletown because it’s got the production whiz of Martin/Molloy & Get This, and it’s the next best thing. There’s been nothing like it since, and don’t think there ever will.